Alan Hansen is one of the most successful British footballers of all time, with 17 major honours to his credit. During his 14 years at Liverpool, he won seven Championships, three European Cups, two FA Cups, four League Cups and one League Super Cup. He was also capped 26 times by Scotland. Born in June 1955, Alan Hansen began his career at Partick Thistle in 1973, making 108 appearances before his move to Merseyside in 1977. He made 621 appearances for Liverpool, captaining the team between 1985 and 1990. 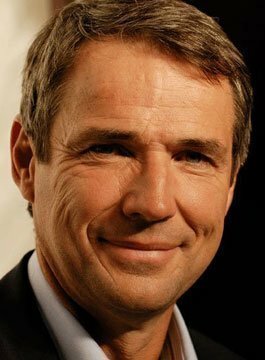 After a knee injury ended his playing career in 1991, Alan Hansen became football analyst at SKY before joining the BBC’s Match of the Day team in 1992. Alan’s keen tactical understanding of the game made him the face of BBC’s MOD along with Gary Lineker for over 20 years. Hansen’s insights into the strengths and weaknesses of teams and individual players have won him a reputation as one of TV’s best football pundits. He has also developed a career as a presenter, fronting a number of BBC football documentaries including – The Sack Race, The Football Millionaires and Football’s Foreign Legion. A keen golfer, Hansen has also presented The Magic of the Masters, a BBC programme on the history and traditions of the US Masters.